What's up the road and down the line in 2017 for transport? What’s up the road and down the line in 2017 for transport? Paul Wormald, Partner and transport specialist at Hawsons, takes a look at what the future may hold for two key elements of the transport sector in 2017. On a global level, we are predicted to be in for another year of weak if any growth. Key positives are technological advancements, improved labour skills, and greater productivity, but these are hedged by ongoing political uncertainty around the world which may dampen business and consumer confidence. Domestically, an OECD report in November showed the UK economy still getting over the Brexit result. Sterling depreciation, and uncertainty about future trading relationships with the rest of the world may impact on business investment both within the UK and into the UK. Inflation is expected to pick up in 2017 which could reduce consumer spending power, squeeze margins, and hinder growth. This is not great news for a sector that does well when businesses are investing and consumers are buying which stimulates demand for hauliers. Fuel costs are predicted to stabilise at least, but with Crude expected to trade at around $50 to $60 per barrel, this stabilisation point is at a much higher level than the sub $30 per barrel seen in early 2016. As a result the FTA predicts bulk diesel prices to be around 95-96pence per litre (ex VAT) during 2017 compared to sub 90p pence for much of 2016. Some positive news remains for 2017 though with fuel duty being frozen for the seventh consecutive year in the latest Autumn Statement. Further cost pressures may materialise from the continuing shortage of skilled drivers. This drove up labour prices in 2016. With an estimated 664,000 qualified commercial vehicle drivers in the UK, and an estimated one in four drivers due to retire over the next ten years, the ability to promote the road transport industry as a career choice for the next generation remains a huge challenge for the industry. The financial impact for hauliers is that either through restricted supply, or by the need to increase wages to attract younger drivers, labour costs are likely to increase further. Which brings us nicely to driverless vehicles… 2016 saw the first public trial of a driverless car in the UK, at Milton Keynes. Further trials are set to take place in Bristol and Greenwich in 2017, and whilst we would seem to be a long way from commercial vehicles heading hands free down the motorway, the potential that this line of technology has and the impact it may have in the future for the sector in some form could have sizeable consequences for the sector. The fall in the level of freight lifted by Rail in 2015/16 has been well documented, with coal traffic declining, and uncertainty surrounding the steel industry. Coal now ranks third in the pecking order of volume moved behind Intermodal and Construction traffic, having once ruled the roost. This abrupt decline has meant that rail freight operators have the challenge of how to replace these revenue streams via diversification and how to deal with underutilised and redundant assets. The volume of Biomass hauled on the rails should increase during the year as the reliance on coal fuelled power stations continues to reduce in favour of ones capable of using Biomass. Major infrastructure projects could help construction traffic grow during 2017 and beyond, although whether some of the longer term projects are ultimately delivered may depend on how the UK’s finance fare post Brexit. Rail infrastructure projects will continue through 2017 such as further progression on Crossrail along with other improvements around the network. 2017 will also see the start of the periodic review process. This will ultimately determine what Network Rail’s outputs and funding will be for Control Period 6 (2019 – 2024). Since the last review, the funding landscape for NR has changed with it being reclassified as a public body in 2014. As a result, the borrowing that NR incurs forms part of the national debt. In CP5 there have been some high profile budget overruns on major projects, causing other projects to be delayed or cancelled. Couple this with the continued uncertainty over Brexit, and pressure on the public purse, and it can be seen that those businesses who may benefit from these projects will need to keep a close eye on how that review develops. 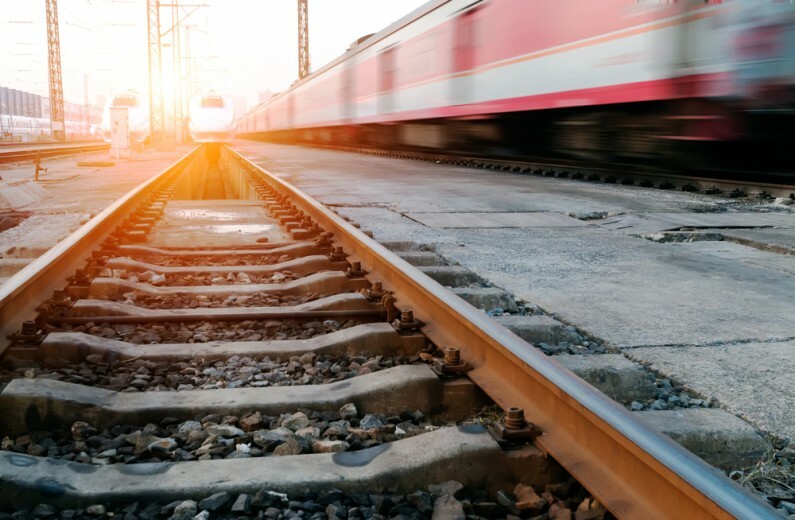 Intermodal traffic is now the largest freight traffic category on the UK’s rails, but the challenge here is that a lot of the key routes for intermodal are also those with the highest demand for passenger traffic. This pressure on network capacity looks set to increase in 2017, with more passenger services being timetabled on already crowded routes. So whilst there is a need for further capacity in the rail network, there may be more limited resources available to Network Rail to deliver these. 2017 should see work begin on the ground on the first phase of HS2 between London and Birmingham. No doubt there will also be further developments across the year over how the northern phases of this project will ultimately look. Overall 2017 looks set to be a year of challenge for those involved in the transport sector.